Over the last few weeks, the Yankees have made two blockbuster trades that prove that show that, while the team might never be the “throw in the towel” type, they are at least clearly committed to building a winner from within. With that said, the time has come for the Yankees’ brass to fully commit to the youth. 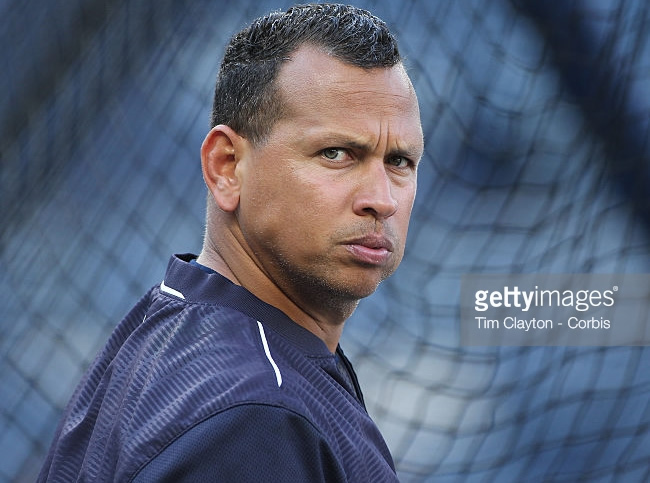 The time has come to release Alex Rodriguez. During his time with the Yankees, Alex has been one of the greatest hitters the franchise has ever seen. Sure, some–hell, maybe all–of that was due to performance enhancing drugs, but honestly… who cares? I can guarantee you some of the best hitters in the game right now are on some kind of juice or another, so I don’t put much stock in whether or not a guy was caught cheating in this day in age. It makes me wonder how Alex was dumb enough to get himself caught (without ever testing positive for a banned substance while the substance was actually being banned, mind you), but that’s really it. Cheaters gonna cheat. Best you can hope for is to catch them and weed them out of the game. Anyway… in all, Alex has spent 12 years in pinstripes. Can you believe it? When he joined the Yankees, George W. Bush was busy starting his second term in office, and Barack Obama was just starting his first term as a United States Senator. Wowsers. Since the big trade with Texas in 2004, Alex has hit .284/.378/.523 with 351 of his 694 career homers and 1,094 of his 2,084 RBI. We’ve also seen him win his only World Series and join both the 600 HR and 3,000 hit clubs. He also won two MVP Awards. Hell, last year, he rebounded from a nearly two-year ban and helped carry the Yankees’ offense in the first half of the season. Enhanced or not, this guy is arguably one of the greatest players to ever play the game, and, even though he’s a bonafide grade-A douche off the field, we Yankees fans should consider ourselves lucky to have had the chance to watch him play every day. Unfortunately, it looks like the first few months of last season depleted whatever gas he had left in the tank, and his productivity has ground to a near complete halt these days. Dating back to last August 1st of last year, Alex has played in 116 games and hit .199/.276/.368 with just 18 homers and 54 RBI in 445 plate appearances. While the home run total isn’t awful, the rest is putrid. That’s seven baseball months of sub-.200 batting average, and a .644 OPS. To put things in perspective, Brendan Ryan had an OPS of .608 during his last year on the Yankees. That’s not so far away from what Alex has been putting up. Simply stated, ARod should be A-Gone. I’ll say it again. If the Yankees are truly committed to the youth movement, and building from within, ARod needs to go. Maybe you let him stick around through the end of this season, but there’s no reason to have him on the roster in 2017. Of course, I would argue that if you’re gonna dump him, dump him now and get it over with. I’m sorry Alex, but your time in the Bronx is over.